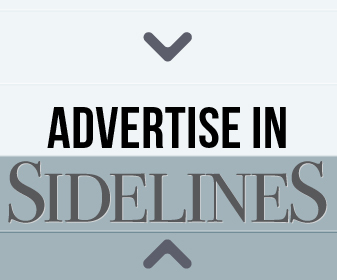 Devyn Adams, a 17-year-old from State College, Pennsylvania, isn’t just a normal teenager. After all, what does the word “normal” really mean? Perhaps it suggests one must fit in with the general standard of society. It can be such a rigid word, causing someone to feel out of place or unable to do something that others can do. Devyn Adams is definitely not your typical teenager. Devyn ran hurdles in track, has skied down the Appalachian Mountains, and surfed across the rough waves of the ocean. Although she’s still in high school, she writes weekly stories and articles on an online platform designed for college students and professionals. 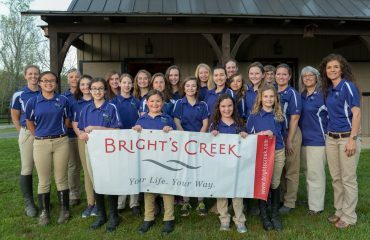 She’s an avid equestrian, competing on the hunter circuit, and a successful team member on her Interscholastic (IEA) riding team, making it to Zone Finals last year. She wants to be a police officer, or at least get a degree in criminal justice and help people, something she feels passionate about. She has an Instagram account full of beautiful photos she’s taken while riding across fields during sunset. And she’s done all of this while being legally blind. To Devyn, the word normal doesn’t bother her. For her, being “normal” sounds quite boring. She does the same things everyone else does, with a few exceptions and adjustments. “I don’t know anything else so it doesn’t seem like that big of a tragedy to me. There are days I’m like, Wow, it would be really nice if I could see so I could have a driver’s license, which makes becoming a police officer a bit difficult, but I get along fine without it!” she giggled. Devyn giving Chance a pat. Since it is a degenerative disease, there are currently no cures or treatments to stop the progression. Therapy is available to help those with the disease learn to adjust to day-to-day activities with loss of vision, such as learning to use a cane and the system of Braille. Devyn has learned it all. 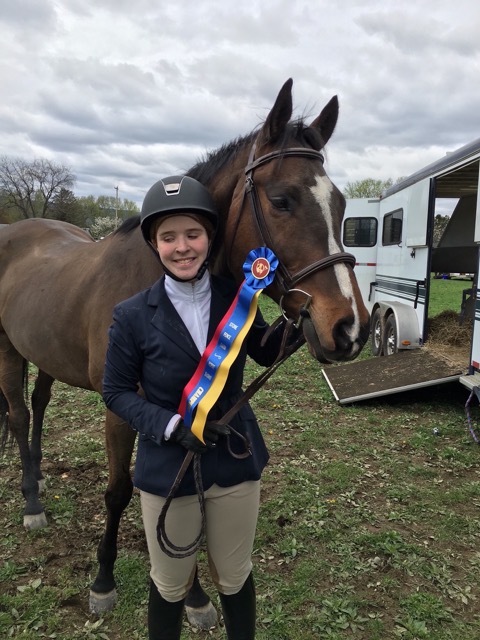 When asked what made her decide to start riding, and take on such a challenging sport for someone with limited vision, Devyn replied, “In kindergarten, all of my friends rode horses. I thought to myself, I don’t want to be like them. I don’t want to ride! Then, in first grade, I got a Breyer horse. 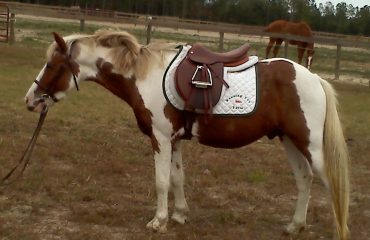 I remember thinking, Wow this horse is so pretty, maybe I do want to be like my friends. “When I started riding, my parents, who have always been supportive, asked if I wanted to ride English or Western. I said Western because I didn’t know the difference. It wasn’t until one day, when a girl mentioned that you can’t jump in a Western saddle, that I immediately asked for an English one. I wanted to jump,” she recalled. Devyn is able to jump with only a sliver of vision. So how does she handle a course of jumps with only a sliver of vision? 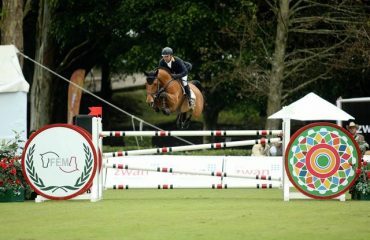 “Schooling shows are easier as I can school the course until I’ve really learned the layout of the ring. Rated shows are, of course, harder, especially if there’s no schooling, but I spend a lot of time walking the course on foot. I can see a jump right in front of me, so as long as I know the layout, I remember where to steer. Of course, I really trust my horse, too!” she said. “I spend a lot of time picking out landmarks. Decorations, large objects, anything I can use to help me know when to turn. 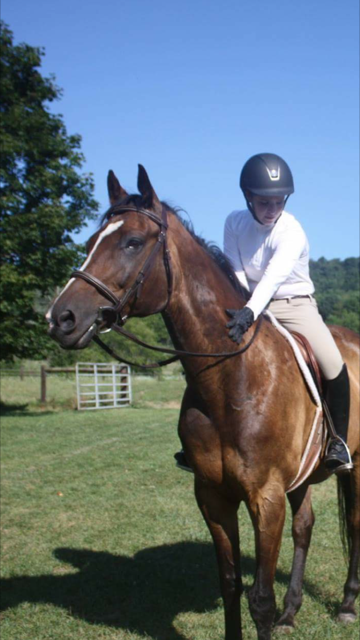 I count strides and have learned to really feel my horse. I can feel their body language change when we’re approaching the jump and about to take off. I use the same tools in flat classes and the schooling ring. I try to pick one spot and stick to it and not change my track much. I can hear horses coming by their breathing and footsteps. 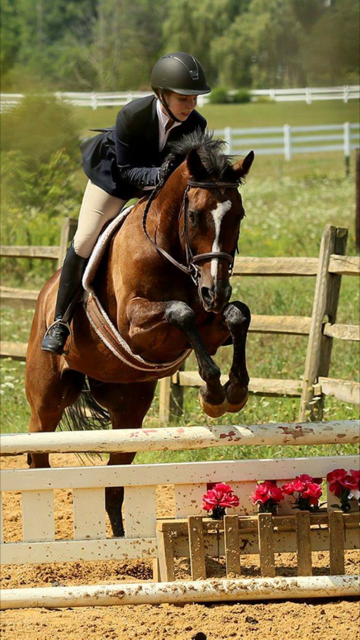 I struggle if there are jumps that match the footing, such as white jumps and light sand, but I do my best,” she explained on the obvious questions most are too hesitant to ask. She now has her own horse, Chance. As she put it, there was an instant connection and she knew she had to have this horse. 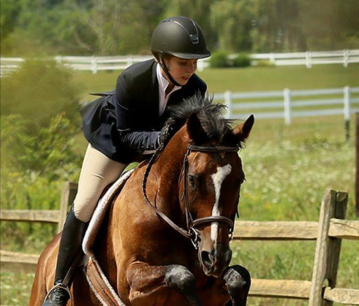 She’s been jumping 3’ at home, and is hoping to move up to the Children’s Hunters later this year. Devyn may not see all of the stars she’s reaching for, but that hasn’t stopped her from reaching for them.